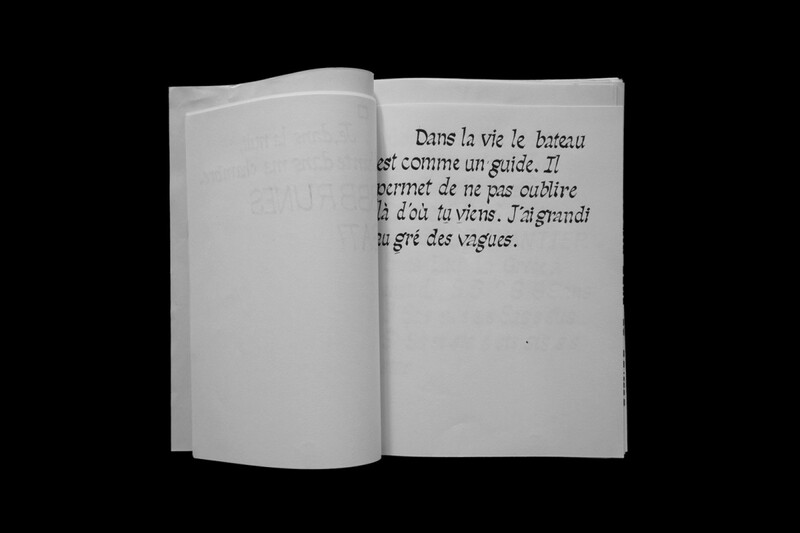 A recent graduate of the École Estienne in Paris, Lucas Le Bihan is a graphic designer who specialises in type design. 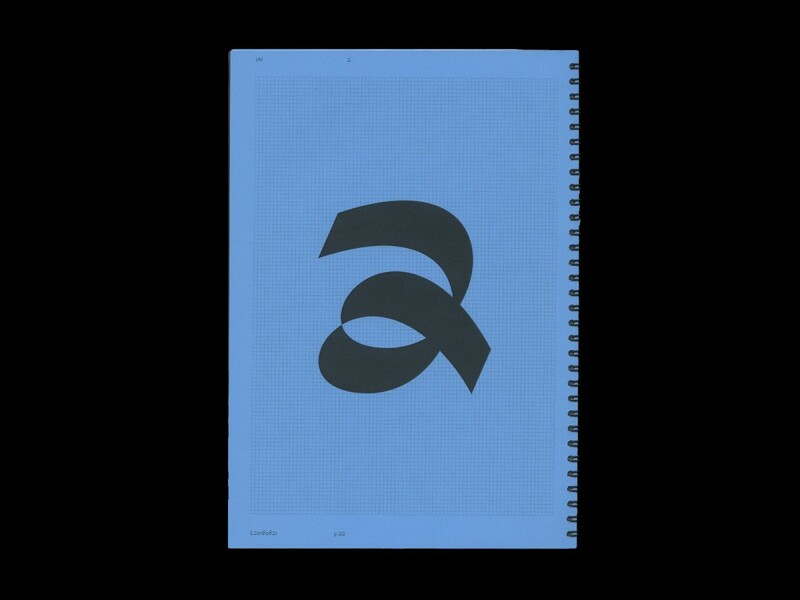 Raised by engineer parents and with a science-focused academic background, Lucas’ type design practice stands out for its extremely methodical, process-driven approach, where he leaves design choices to the very end. Instead of creating in a designer-dominated bubble, Lucas’ interdisciplinary style has inspired his collaboration with some unexpected partners in engineering and heavy industry. And when it comes to culture, Lucas is just as open-minded: he’s fallen for Japan after spending three months interning at Yokohama-based design studio Nosigner. In his first in-depth interview, Lucas shares how he came to be a type designer, the design process behind the fonts he creates and the cultural inspiration that feeds his practice. 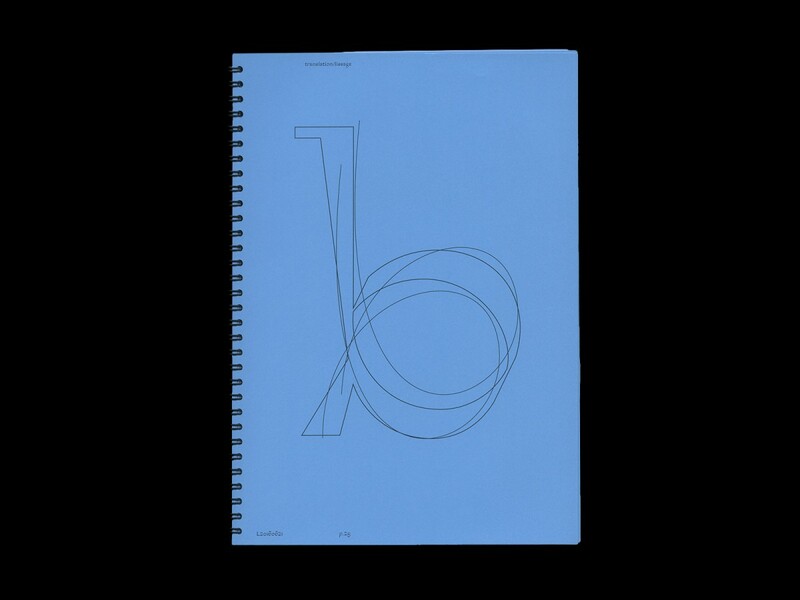 Following the recent release of his typeface Sporting Grotesque on Velvetyne, 1 he will soon launch a design studio called Dreams Office in partnership with his former classmate, James Briandt. Lucas, can you start by explaining who you are and what you do? I am a type designer. 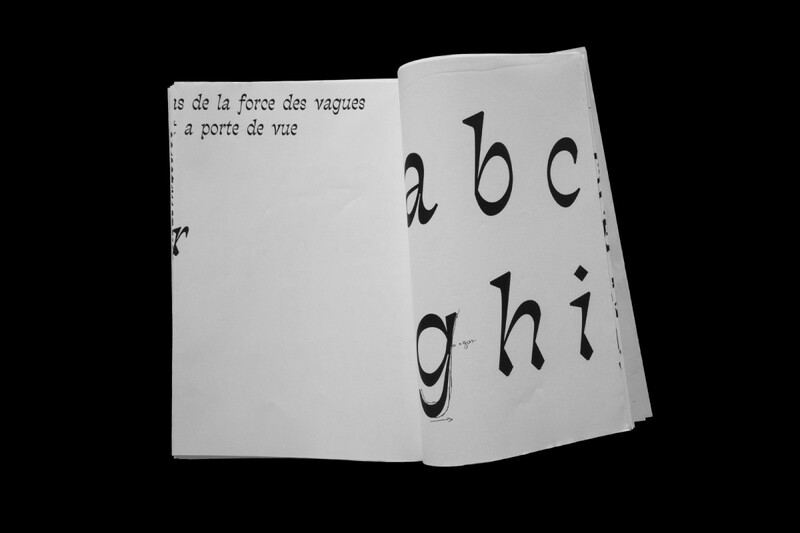 I’ve just graduated after completing my a Masters in Type Design at the École Estienne in Paris 2. 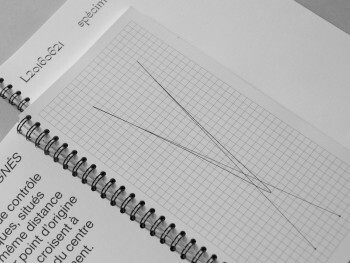 Before that, I did a Foundation Course back in Brittany, 3 where my family come from, then I moved to Paris to take a Bachelors in Graphic Design at the École Estienne. Have you always wanted to pursue graphic design? Not really. Actually, at first, I was really interested in designing the inside of boats, arranging the interior space – basically, interior design for boats. 4 That’s why I started doing an Art Foundation, but during the course I changed my mind and decided to study graphic design instead of interior design, because I realised I was not a good architectural drawer. I was much better at technical drawing, and it felt like, for me, there would be more opportunities in graphic design. How did you make the jump from graphic design to type design? 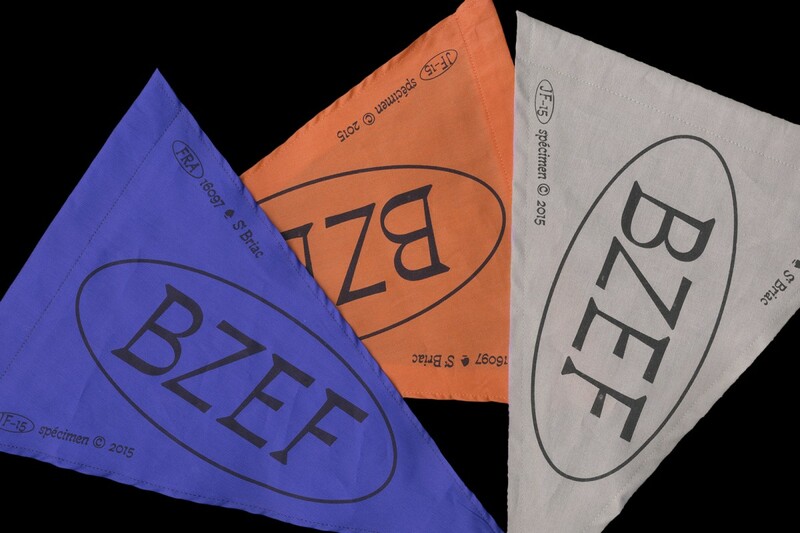 My Bachelors in Graphic Design was a very general degree – we studied all aspects of graphic design. It was fairly disappointing because I thought I would have the opportunity to build technical skills and knowledge, but instead it was very concept-driven. Luckily, during my second year, I became increasingly interested in Typeface Design because it felt like it was a way for me to learn a real, specific technique – a craft. I decided to do this Masters because I wanted to learn something that I felt was tangible. 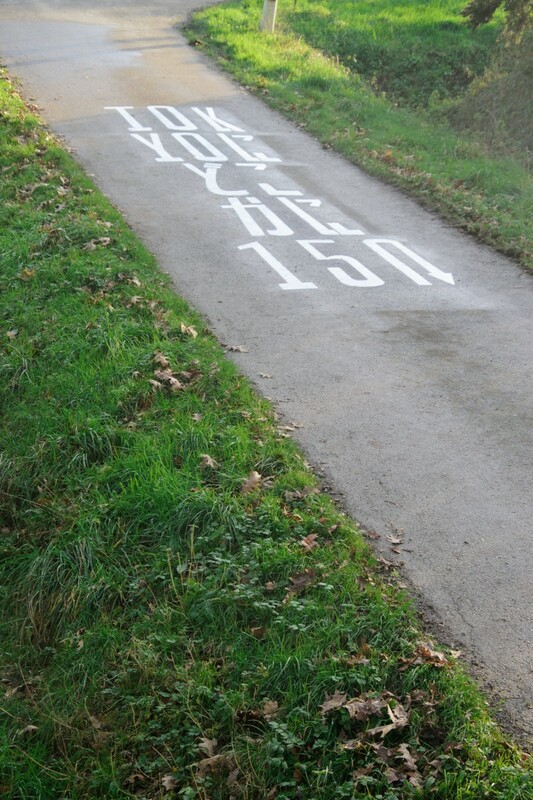 On my course, we all had different interests and views on the practice of typography. It was kind of empowering – we would talk through our ideas and debate them. There were people who were more interested in traditional type design using calligraphy, and producing typefaces for commercial and business use. Some were more interested in conceptual research about typography, and others were more attracted to experimental typography, which I guess was my case. What in particular interests you about experimental type design? Since I have a scientific background, 5 I was always interested in how typeface design works nowadays. 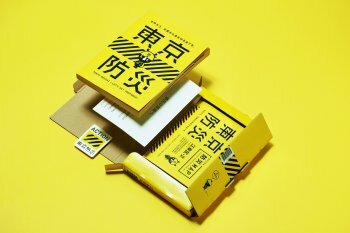 Type design has moved on from very traditional methods to a more technological, computer-driven process which entails very different techniques and has changed the way we view design. I always try to question myself – I ask “How are these typefaces really built? 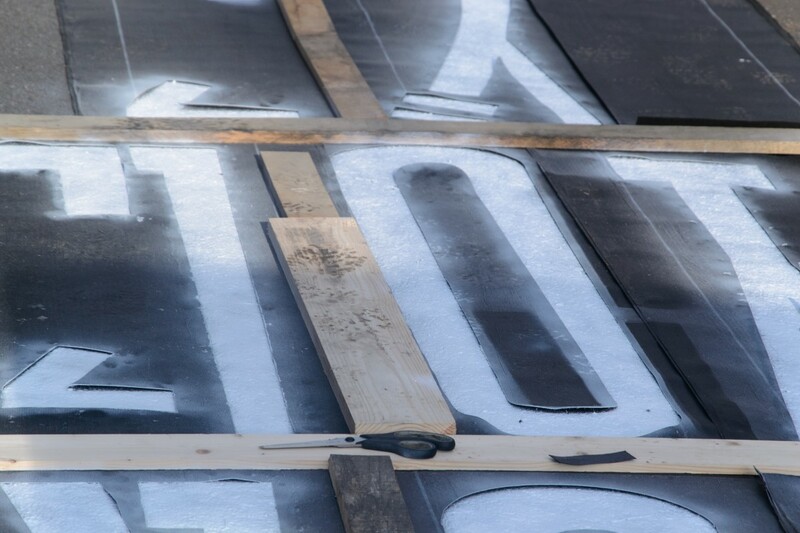 What is actually behind a typeface on the screen? What is behind the points we manipulate? The curves we get?” That’s why when I’m designing type, I try not to care about the result at first but I mostly focus on the process of how I am going to get my letter shapes. It’s all about finding a process first that I think is good or interesting enough, and then I switch to being a type designer to try to make it a proper typeface that everybody can use. I really value that process side of type design and the meaning behind it. The ‘meaning’ of your process sounds very interesting. Do you have any examples? I think my graduation project for my Masters really sums up my practice. Through my dissertation which was called “The Writing of Programmes”, I tried to study the software used in type design. 6 I tried to understand the mechanisms behind the different programmes: How are they developed and written? Who made them? How do these people work and think? I tried to link the way that software is written to the mind of the engineers. I studied all the different particularities of the programmes, and from that I was able to understand the method of the engineers, as in how they work and think. 7 My objective was to identify a particular process that was used in design software, so that I could then apply it to my type design. Can you elaborate on how you managed to apply such a scientific process to type design? Nowadays, with the software we use, typefaces are designed by particular methods: we use vectors and Bézier curves 9 and all the elements are linked by points which we choose to put at specific places to draw shapes, and therefore letters. So after identifying this process of optimisation, I thought “What if we tried to remove as many points as possible while drawing a letter?” To do so, I studied how Bézier curves work, and once I understood, I used this to draw letters using the least number of points. In the end, my letters were shaped but not yet legible. And that’s when I made the switch to being an actual type designer – I re-drew them to make the letters more readable. This is what I was talking about: the mechanical process comes first, and then the type designer mindset comes in. Do you have a preference between the process-driven and design stages of your work? Coming up with a process is something I really enjoy, because once you have a good method, the shapes come naturally and it’s very satisfying. The drawback is that you’re working in the dark: you don’t know how it’s going to look until the very end. It’s stressful, but also a lot of fun. So then, when I do the job of an actual type designer, it’s a very different task because trying to make the letters more readable and beautiful involves making decisions which are extremely subjective. Anything which influences me can play a part in this stage. I obviously don’t think that it ruins my process, but it can alter the results a bit, so I’m careful not to go too far. Coming up with a process is something I really enjoy because once you have a good method, the shapes come naturally and it’s very satisfying. The drawback is that [...] you don’t know how it’s going to look until the very end. Does your practice change between your type design and the editorial side of your work? It sounds like you enjoy combining the practice of type design with different fields and disciplines. Is that something you value? I am very interested in bringing back graphic design in an industrial context. I would like to do some work for heavy industry, but also I want to understand the processes they use and apply those to graphic design. 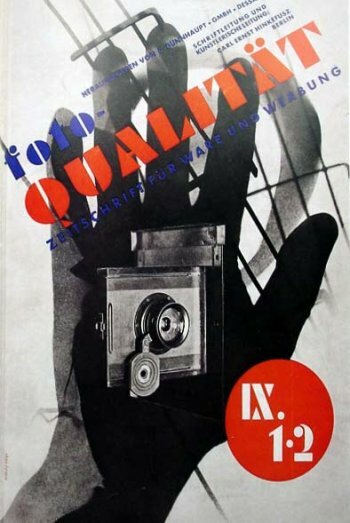 Centuries ago, graphic design and manufacturing processes were heavily linked to each other – with modernism, 12 and especially with the work of people like László Moholy-Nagy 13 – there’s a quote I really like from him, saying that “Around 1920 the new artists discovered the esthetics inherent in the work of the engineer.” 14 I like the idea of bringing graphic design back to that. More recently, at the end of the eighties, there was someone who built bridges between the industrial and design world: Donald Knuth. 15 He was an engineer but he did a lot for typography. 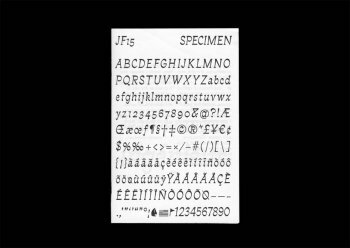 Metafont, 16 a language he designed, was a new way to describe typeface shapes based on their structures. He also wrote TeX, 17 a language used to layout scientific documents with a high level of precision and quality. These two tools were big improvements and are still visionary even by today’s standards. There’s a quote I really like from him [László Moholy-Nagy], saying that “Around 1920 the new artists discovered the esthetics inherent in the work of the engineer.” I like the idea of bringing graphic design back to that. When you’re coming up with a working process, how does your inspiration feed into that? It depends, some processes are given to me, 18 some come from more in-depth thoughts and others are from my everyday life. For example, the Haneda 19 typeface is one that came up from something I noticed during my stay in Japan. 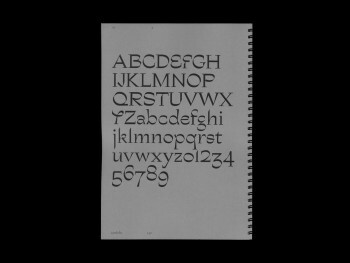 During my internship, 20 I was taking records of everything that involved typography for my university. 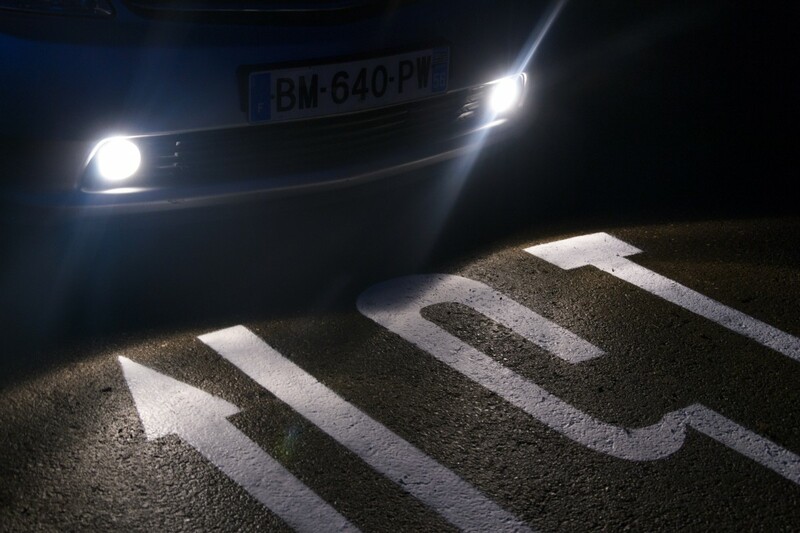 What was very interesting for me in Japan was how signage was painted directly onto the road and not on poles, like we have in France. 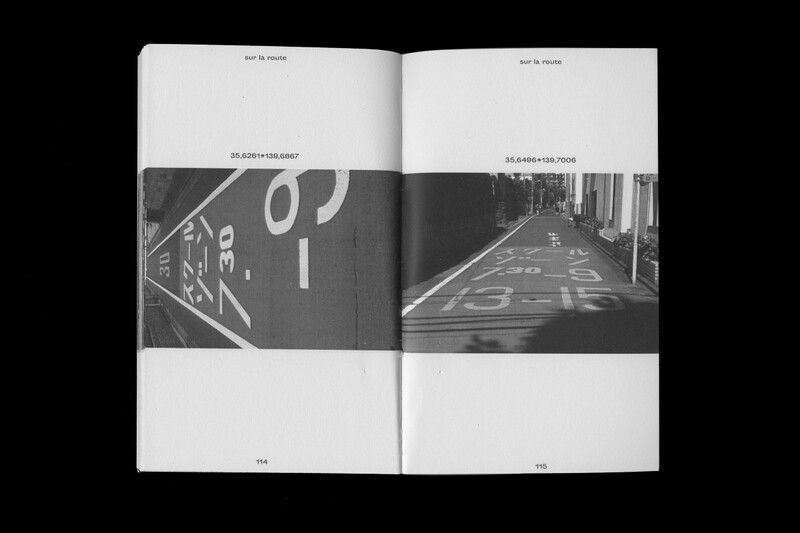 21 This, combined with how ‘superimposed’ the roads in Tokyo are, gives to the city an extremely unique look and feel. 22 There’s type everywhere you look, and even though I didn’t understand much, I was fascinated by it. It almost felt like I was walking around in a book. 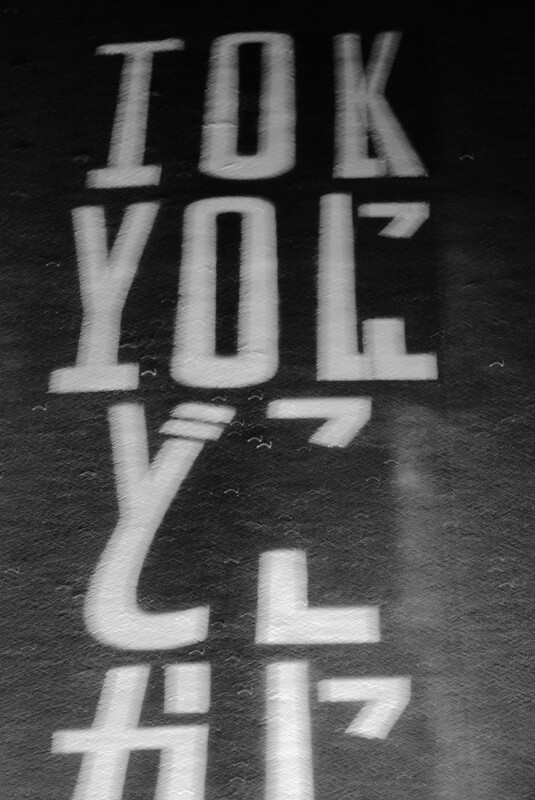 So I took loads of pictures and from what I had recorded, I applied the specific letter shapes from Japanese road signage to latin characters. 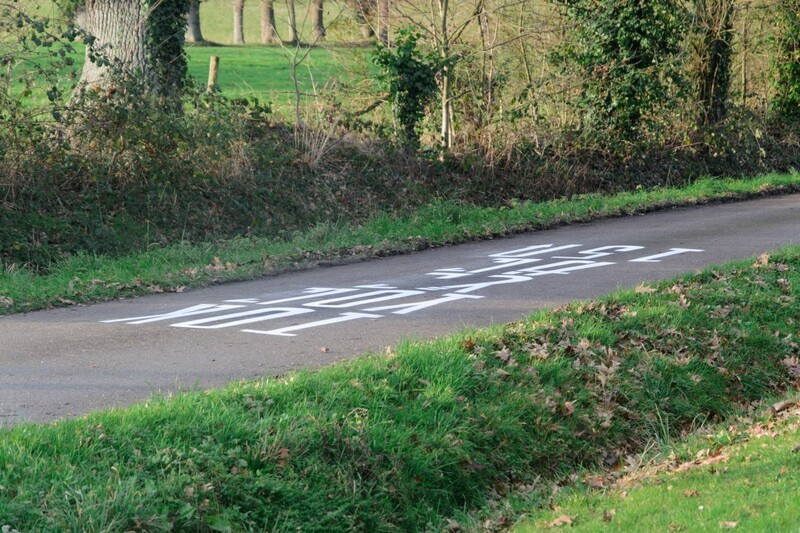 Once I had made it into a typeface, I actually drew some road signage directly onto roads back at home, in Brittany. All that came from a process I thought of by randomly walking around Tokyo. Why Japan? What interests you about Japanese culture? We are two kinds of cultures which grew on two different sides of the planet in two very different ways. I have been aware of the differences from a young age, when I used to watch a lot of Miyazaki’s anime. 23 More recently, I’ve been really enjoying the work of Naomi Kawase, 24 I read Haruki Murakami. 25 I’m also a big fan of Takeshi Kitano 26 and Sion Sono. 27 Maybe because of this, I was very interested in going to Japan to see, to learn and to understand how different their culture is from ours and how that affects visuals and graphic elements. The way type is made in the West and in Japan and the rules surrounding this are so different. 29 Did you find it hard to adapt during your internship? 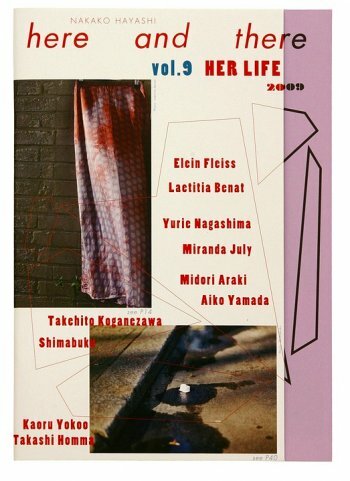 In Japan, everything was under very strict control, so I learnt a lot about how to make professional editorial work but it was extremely different from what I had been doing in France. I was, at the beginning, quite reluctant to adapt. It was a bit hard, and there was some tension between me and my supervisor because I didn’t understand why we had to respect all these rules. 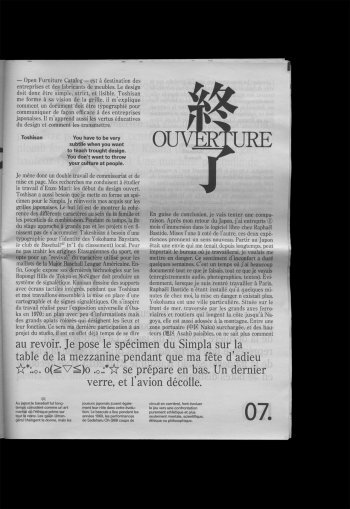 That might have been a bit pretentious of me, like this guy coming from France in a Japanese graphic design studio trying to change the rules. When I look back, I think I was overly naive. I should have paid more attention to the fact that the way they are working was heavily linked to their culture. If I go back to Japan now, I will be much more respectful about this. At the end of my time there, I think I grew a little and I adapted to the environment but it was a bit too late. Right now, I’m working on a website to display all my fonts, which is going to be called Bretagne. 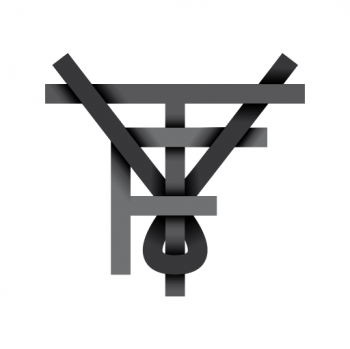 30 I’m also setting up a design studio with James Briandt, a close friend of mine. We studied together during my Bachelors course at the École Estienne. 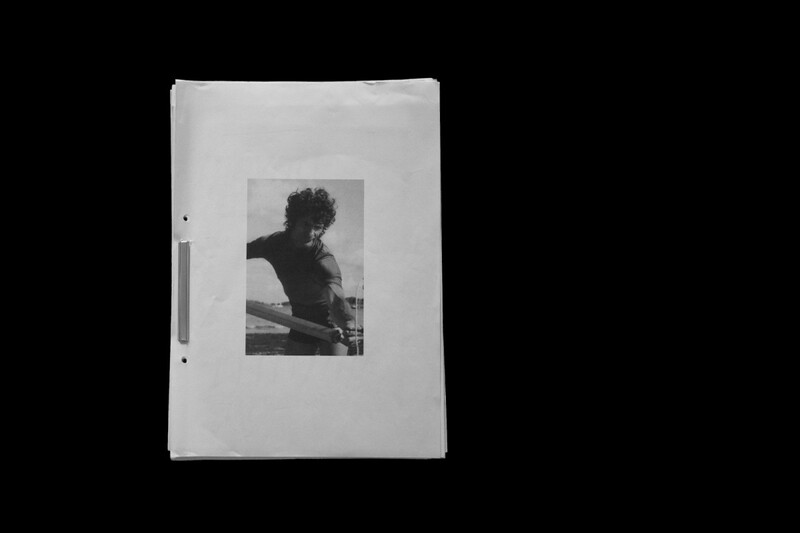 He did one year of Interactive Design and then specialised in photography. He’s really interested in images and I’m interested in typefaces, so we work well together. 31 Overall, we work within graphic design in general but we mostly focus on editorial subjects for fashion and industries. It’s going to be called Dreams Office. 32 The studio is slowly getting bigger, we already have three big clients and I’m looking forward to expanding even further. We’re actually preparing our first ever exhibition which will take place at our school, École Estienne, in April 2017. Velvetyne is a type foundry, or a company designing and distributing typefaces, established in 2010. In early 2016, Lucas released a font called Sporting Grotesque through Velvetyne which has already been used in a range of different projects, including an art installation called “A Load of Jargon”, a partnership between The Conran Shop and It's Nice That for the London Design Festival (see the teaser video below). Lucas still has his fingers crossed for a football team to use Sporting Grotesque. The École Estienne is a public arts school located in south-east Paris which specialises in teaching visual communication and book design. Notable alumni include Xavier de Rosnay, one half of Justice, and caricaturist Cabu, a Charlie Hebdo contributor who died in the January 2015 attacks. Lucas explains, “my grandfather and father are both sailors, so I’ve spent a lot a of time around boats. I have always been amazed by how cleverly the inside space is set up, how many things can fit in such a small place.” He’s spoken about this obsession in an interview with It’s Nice That, saying “JF-15 is a typeface drawn from the study of a Breton sailor’s portrait.” See the slideshow to find out more about the type design process. 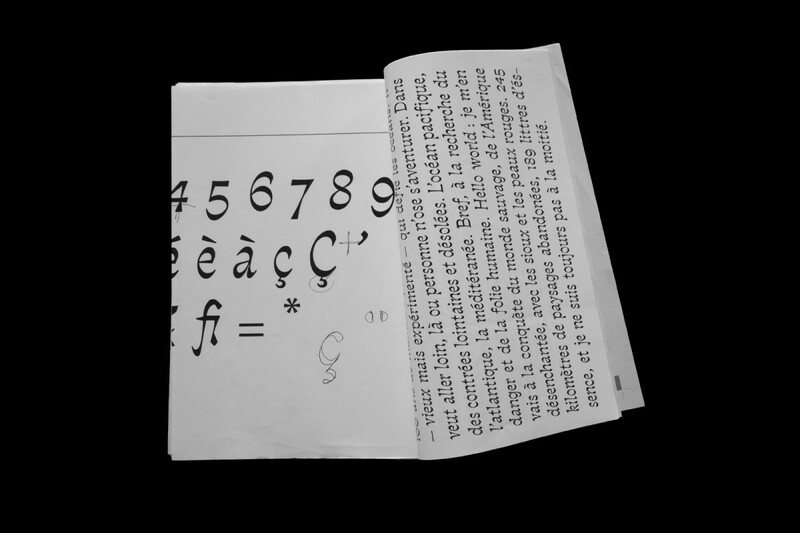 Several different software packages are used in designing typefaces: RoboFont, Glyphs and Fontlab, which seems to be Lucas’ preferred programme according to this picture from his website. 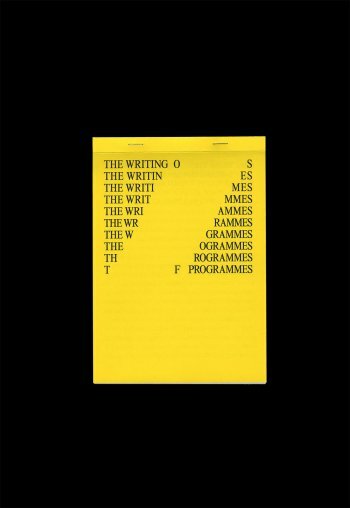 Lucas added that he wrote his dissertation, “The Writing of Programmes”, with the help of Anthony Masure, who “has written a lot about software creation.” Anthony is a researcher and lecturer in design focusing on digital aesthetics, design and theory. Bézier curves are widely used in graphic design in order to draw smooth curves. Although they were invented in 1912, their potential when applied to graphics was only realised in 1962 by the French engineer Pierre Bézier (pictured below), who used them to design automobile bodies at French car manufacturer Renault. Their use became common practice when Adobe decided to include them as a tool for drawing curves inside its Illustrator software. Translation is defined as a geometric transformation that moves every point of a figure or a space by the same amount in a given direction. The picture below explains how translation works. 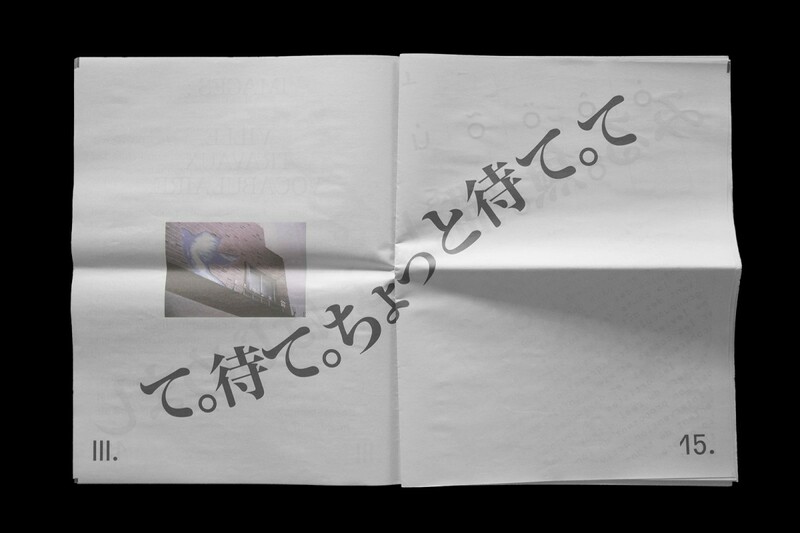 One great example is this project which Lucas produced after his internship in Japan. 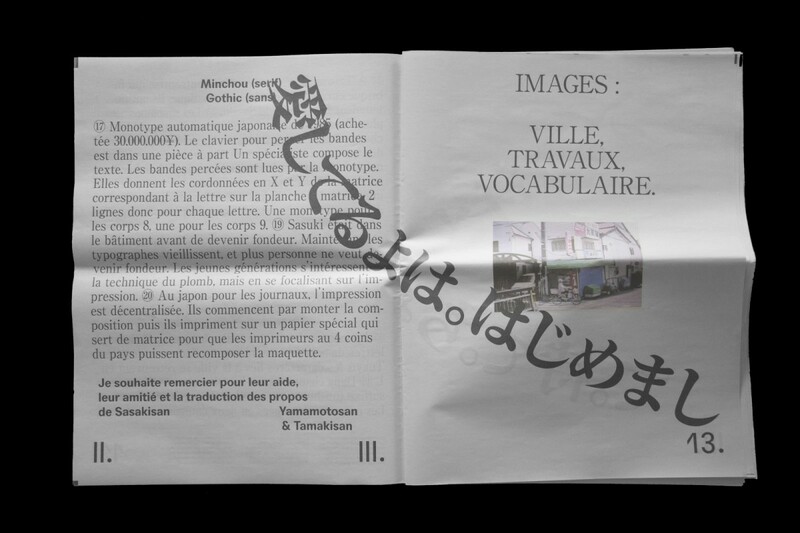 His use of kaomoji, Japanese emoji, shows the freedom and playfulness that Lucas displays in his editorial work. See his website for more. 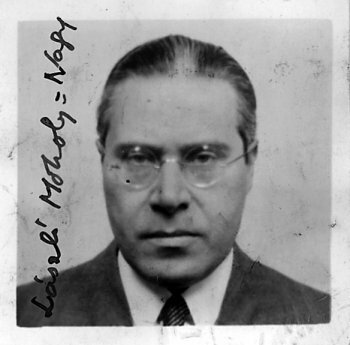 László Moholy-Nagy was a Hungarian painter and photographer who advocated for the integration of technology and industry into the arts – a belief shared by Lucas. 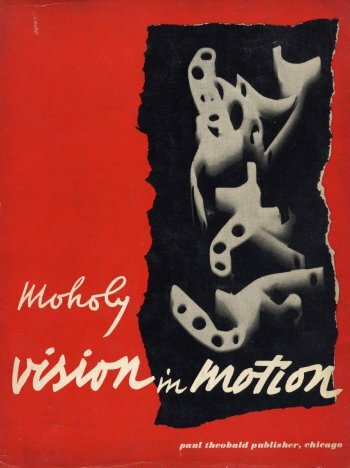 Quote taken from László Moholy-Nagy’s "Vision In Motion", published posthumously in 1947. 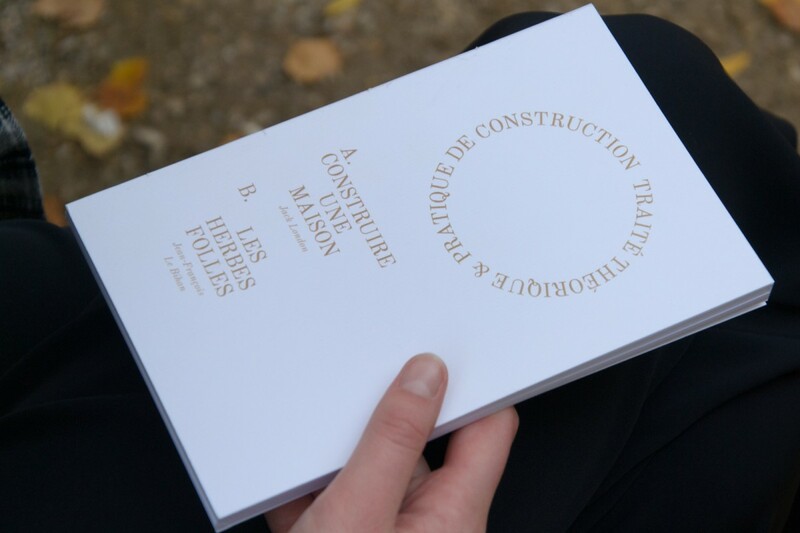 The book is available to read here. 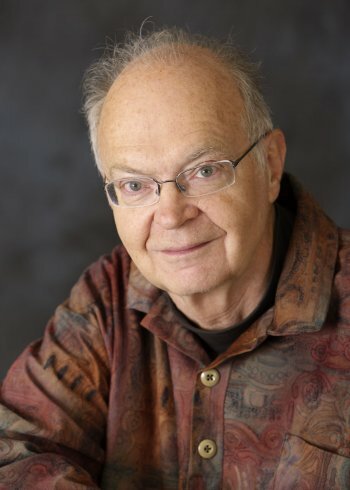 Donald Knuth is an American computer scientist and mathematician known for breakthrough discoveries in several branches of theoretical computer science, and the development of two algorithms bearing his name. 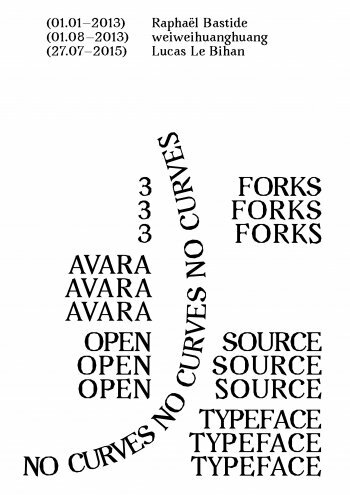 As well as this, Knuth combined his knowledge of computer science with his interest in type to create the TeX computer typesetting system, the related Metafont computer language for font definition, and the Computer Modern family of typefaces used in TeX (pictured below). See footnotes 16 and 17 for more information on Metafont and TeX. 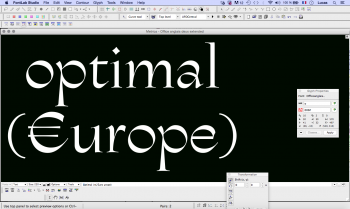 Metafont is a computer language used to define vector fonts. 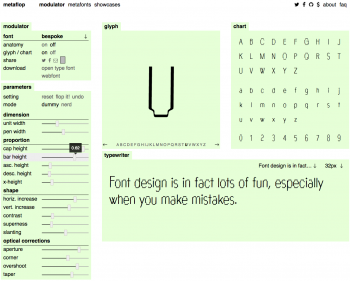 In 2012, an online tool called Metaflop was launched as “an easy to use web application for modulating your own fonts.” In other words, the ‘modulator’ on Metaflop allows you to use Metafont without knowing a line of code, “but simply by changing sliders or numeric values of the font parameter set.” It’s an extremely powerful tool and simple to try out, as you can see below. 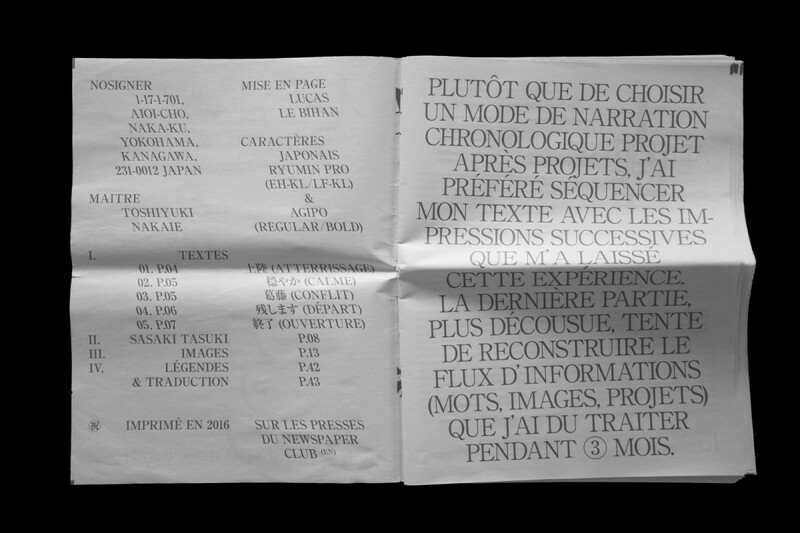 TeX is a typesetting system designed by Donald Knuth and released in 1978. It was created with two main goals: to allow anybody to produce high-quality books using minimal effort, and to provide a system that would give exactly the same results on all computers. TeX is a free programme, making it accessible to a wide range of users. Lucas praised Knuth’s achievement in developing almost-perfect text justification in TeX: “it took him a lot of time and a lot of thinking to achieve it, but it’s amazing.” So amazing, in fact, that the algorithm used to produce this high-quality text justification is now adopted by several other programs, such as Adobe InDesign. 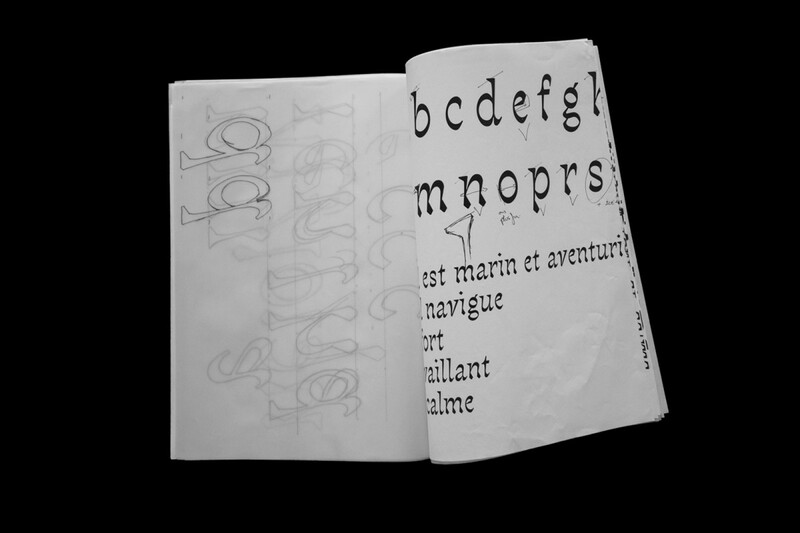 Avara is a font that Lucas designed from a process given to him by designer and artist Raphaël Bastide. 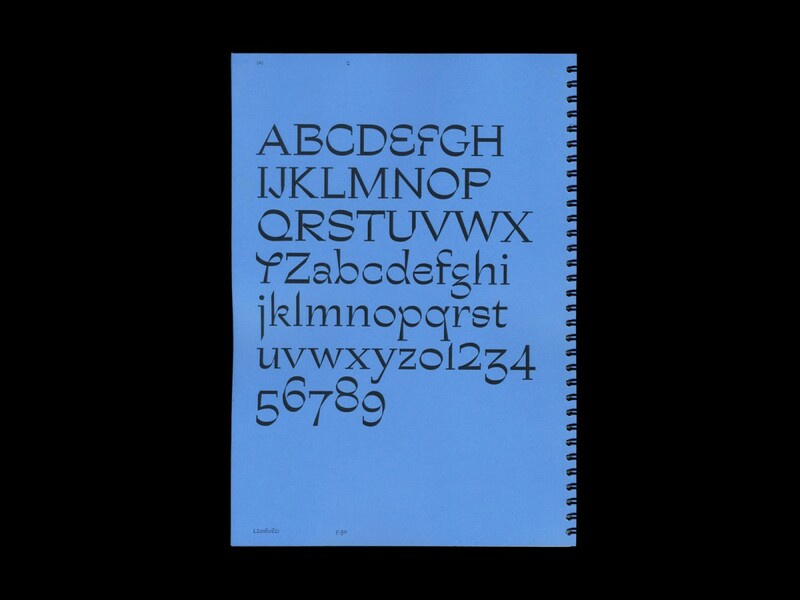 As Lucas said in an interview with It’s Nice That, “the concept was to design a humanistic font without any curves and on a very strict grid. It is an open source font. 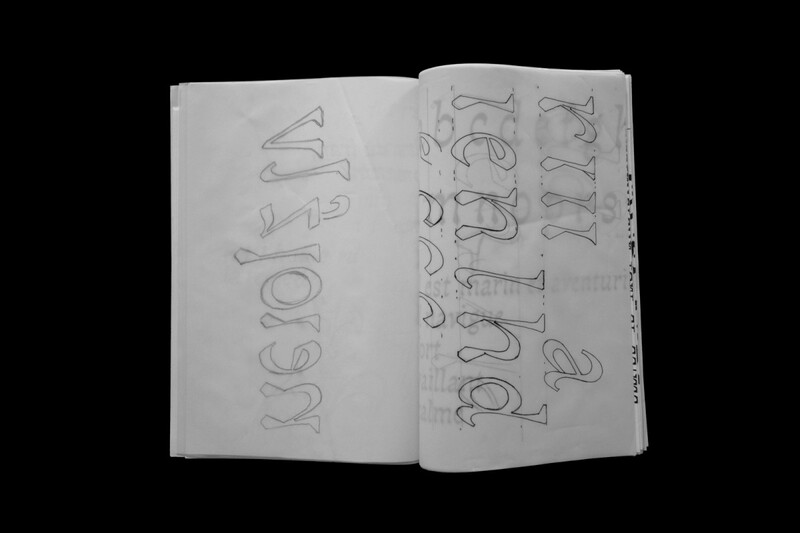 The specimen allows the user to edit the drawing and print his custom specimen.” You can find the Avara typeface here. 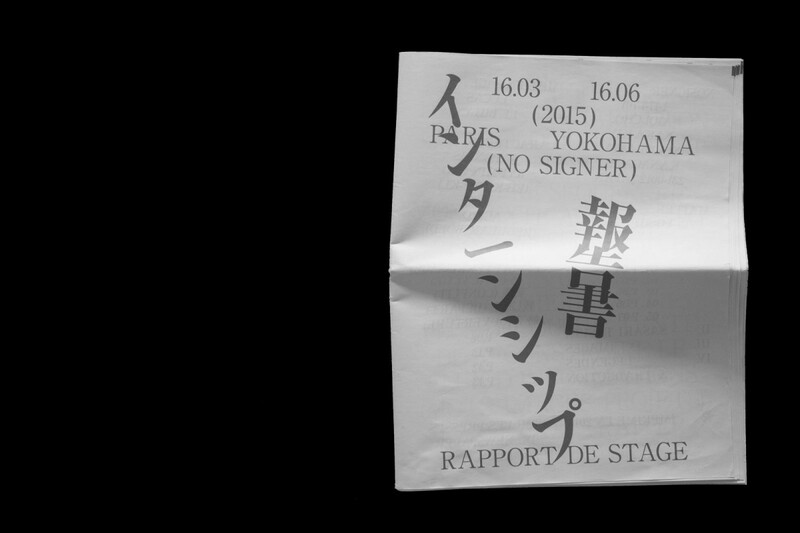 Lucas interned at a Yokohama-based design studio called Nosigner. 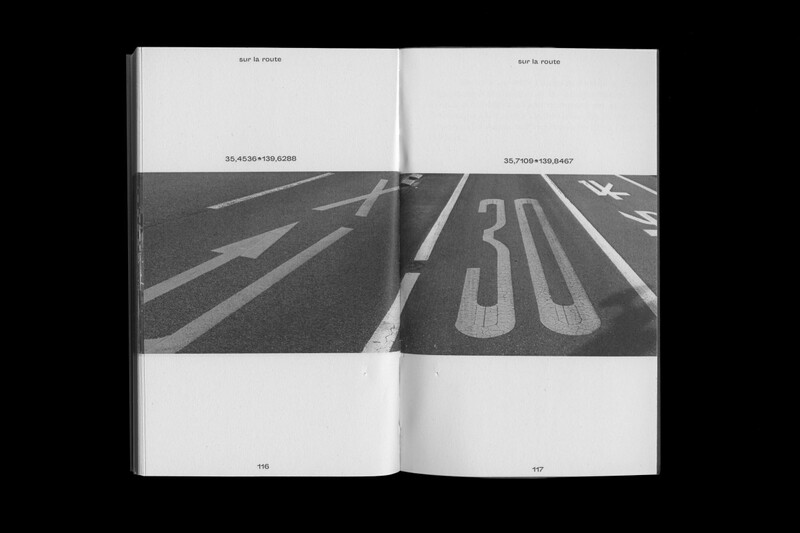 During his internship he contributed to the design of the alphabet font for a guide published by the Tokyo Metropolitan Government, called Tokyo Bōsai, providing information for citizens in case of an earthquake. The font, originally created for this guide, eventually became part of Nosigner’s visual identity and was used for other projects by the design studio. 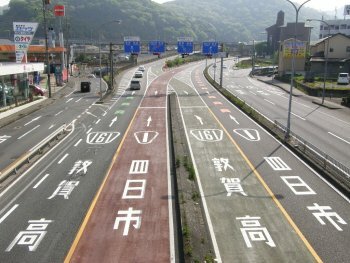 In Japan, while most road signs are at the side of roads or overhead on gantries, road signage is also often painted directly onto the roads themselves, as you can see in the below image. 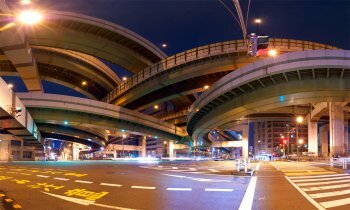 The Hakozaki Junction in Tokyo, pictured below, is one of the most striking examples. 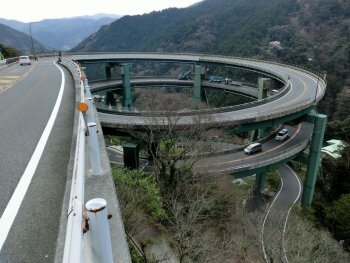 Following up after this interview, Lucas mentioned the equally impressive Kawazu-Nanadaru loop bridge. Hayao Miyazaki is a Japanese film director who is internationally acclaimed for his masterful storytelling and as a maker of anime feature films released through Studio Ghibli, of which he is a co-founder. He is best known for My Neighbor Totoro, Princess Mononoke, Spirited Away, Howl's Moving Castle and The Wind Rises. 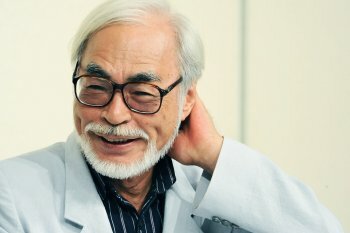 A 2013 documentary called The Kingdom of Dreams and Madness, directed by Mami Sunada, follows the routines of Studio Ghibli creatives including, of course, Hayao Miyazaki. 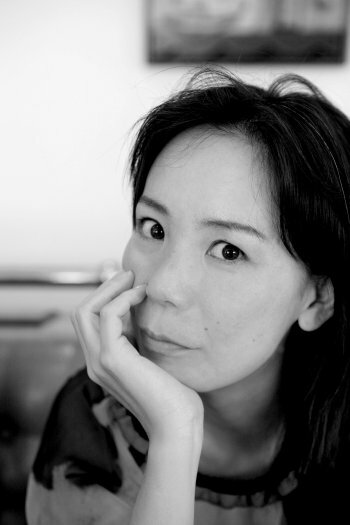 Naomi Kawase is a Japanese film director recognised for both her documentary and fiction films. She has a long-lasting relationship with the Cannes Film Festival as an entrant since 1997, and is greatly acclaimed by audiences there: not only has she twice been selected as a member of the jury, but she is the winner of multiple Cannes awards, including the Grand Prix in 2007 for The Mourning Forest. Watch the trailer below. Haruki Murakami is a Japanese writer whose books have been bestsellers not only in Japan but also internationally, including, more recently, 1Q84, a three-volume series with a plot built around a mystical cult and two long-lost lovers drawn into a distorted version of reality. 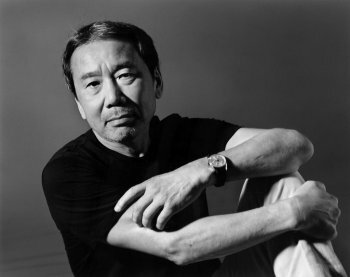 His writing style is often said to be un-Japanese; since childhood, Murakami has been heavily influenced by Western culture, particularly Russian music and literature. He’s an unusual character, having opened and managed a jazz bar in West Tokyo with his wife from 1974 to 1981, while still a student at Waseda University. 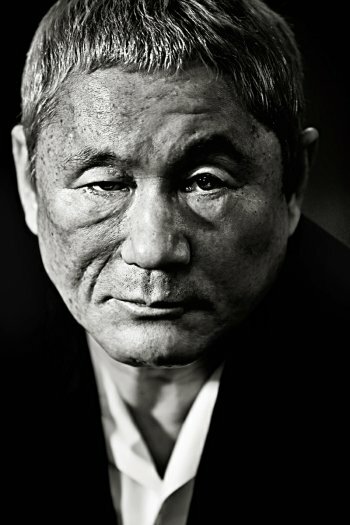 Takeshi Kitano is a Japanese comedian, television personality, director, actor, author, and screenwriter. Lucas mentioned that one of his all-time favourite movies is Takeshi Kitano’s Kikujiro, the story of a young boy searching for his mother during his summer vacation. While abroad, he is known almost exclusively for his film work, in Japan he is a famous comedian and TV host. 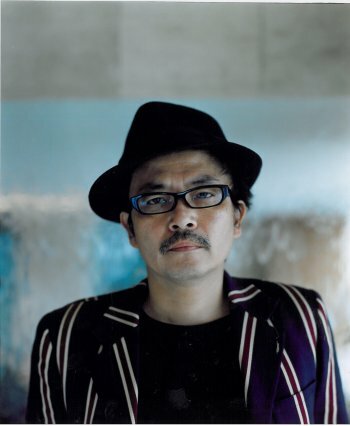 Sion Sono is a Japanese filmmaker, author and poet. He is best known for Himizu, a movie released in 2011. Lucas shared with us some of the things he had brought back from his time in Japan. We first looked at a very old copy of Esquire magazine, seeing how whitewashed the advertising was back in the day even though it was a Japanese issue. 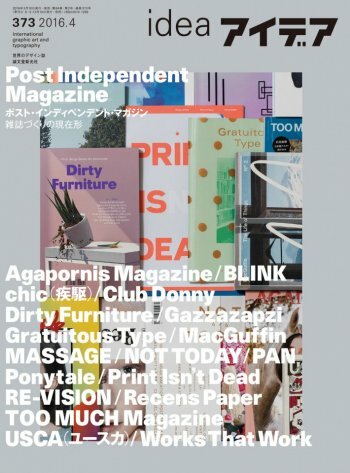 Lucas also showed us his copy of idea, a beautiful, meticulously researched magazine which focuses on graphic design and typography and is published quarterly in Tokyo (the 373rd issue is pictured below). Lastly, we skimmed through here & there, another Japanese magazine whose last issue came out in 2012. You can read a great article on the magazine’s art director, Kazunari Hattori, here, from French magazine Back Cover’s special issue on Japan. 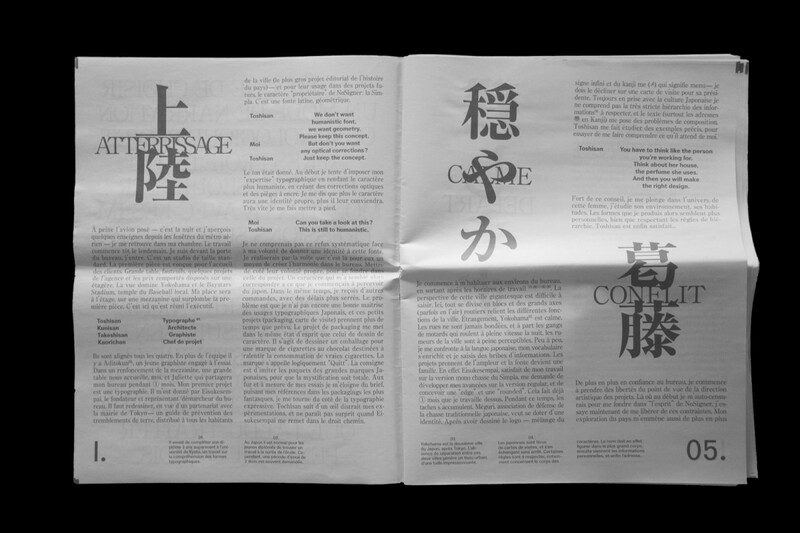 We also discussed how an effective process like the one Lucas uses could be extremely useful in producing experimental, interesting Japanese fonts; however, in Japan, typeface design is a different world as Japanese fonts have over 50,000 characters. Lucas explains “Japanese type design offices like the Morisawa type foundry look like factories – a lot of type designers in front of computers, all working on the same font. That’s one of the reasons why innovation within type design in Japan may take much more time, because you really have to be sure of what you are doing when you start drawing a font as it might take three to five years to complete. 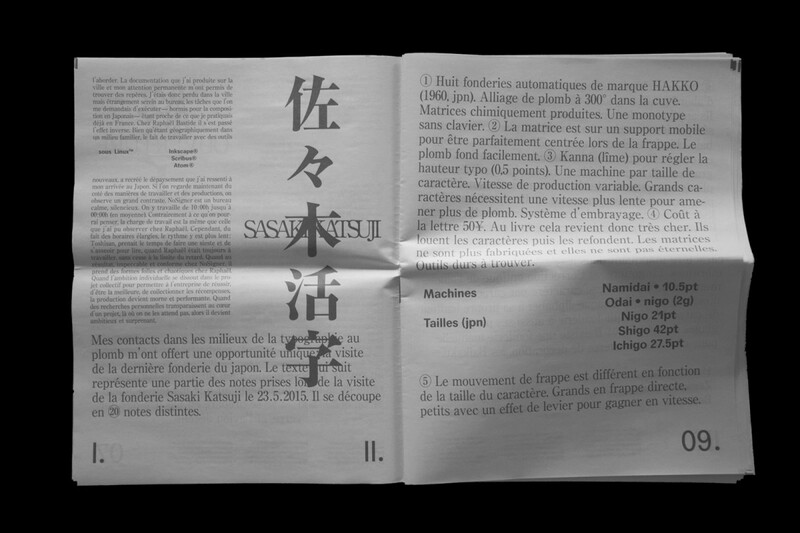 It’s not like in France where you can make a font in a month or so, allowing us to follow trends.” The video below, made by Morisawa, shows how fascinating – if time-consuming and labour-intensive – producing a Japanese font can be. Lucas explains “we used to go out to the dalle des Olympiades (a residential complex) in the thirteenth arrondissement (in Paris). 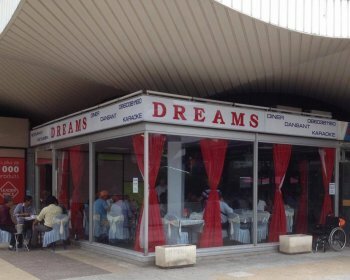 There’s a karaoke place there called Dreams; it’s so mysterious yet beautiful and we thought we had to name our studio after it.” Dreams is a Vietnamese restaurant where you can dine and sing – find their Facebook page here. Pictured below is Lucas’ own photo of the place. Dreams Office’s website will be online soon. This interview was posted on 15 November 2016. Lucas’ first attempts at calligraphy. 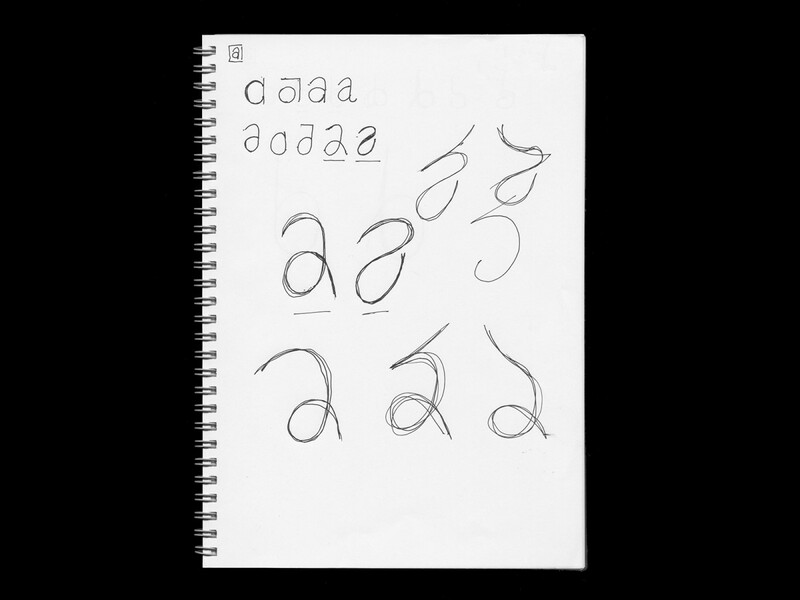 Extension of the glyph set, and tests in text form. Research notebook and sample drawing. 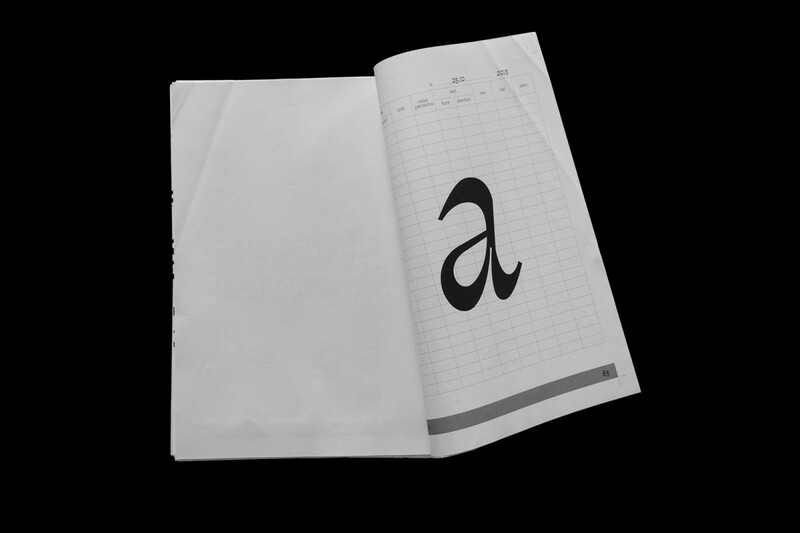 The letter ‘a’, after translation. 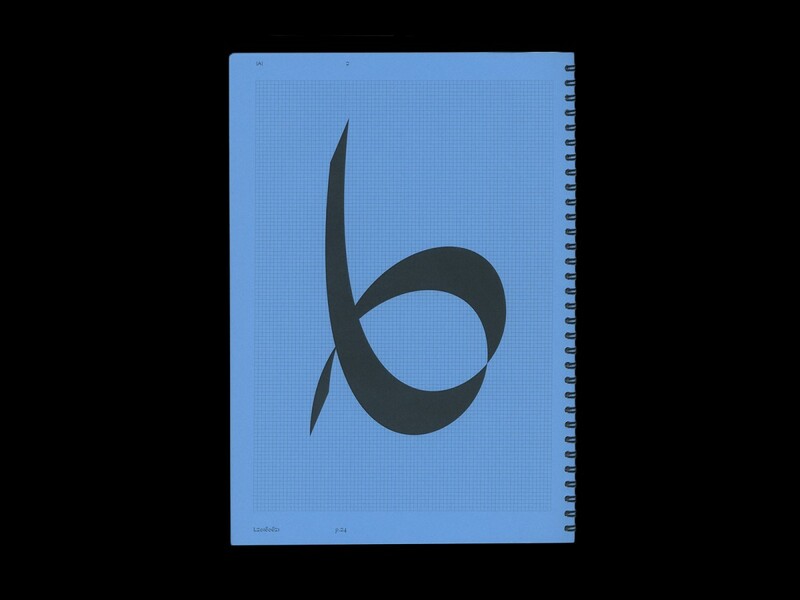 The letter ‘b’, after translation. 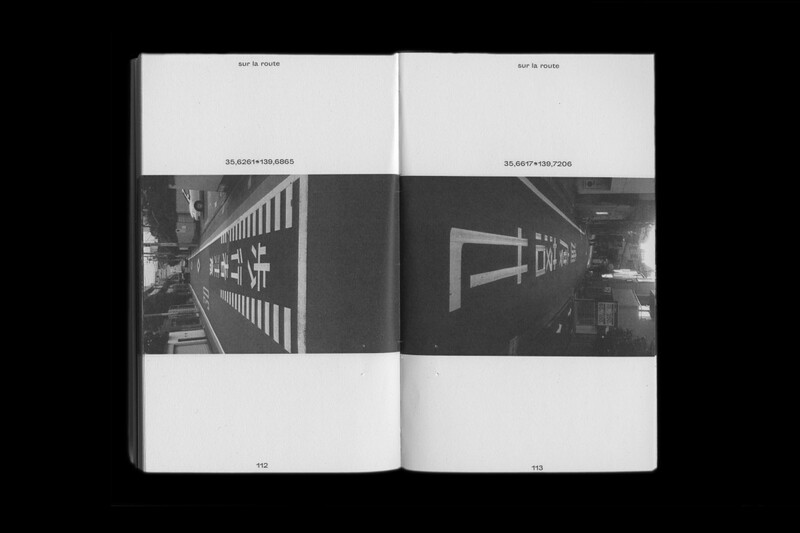 Lucas’ photographs of horizontal road signage in Japan are collected in this booklet. Character stencils, cut out of bitumen film. 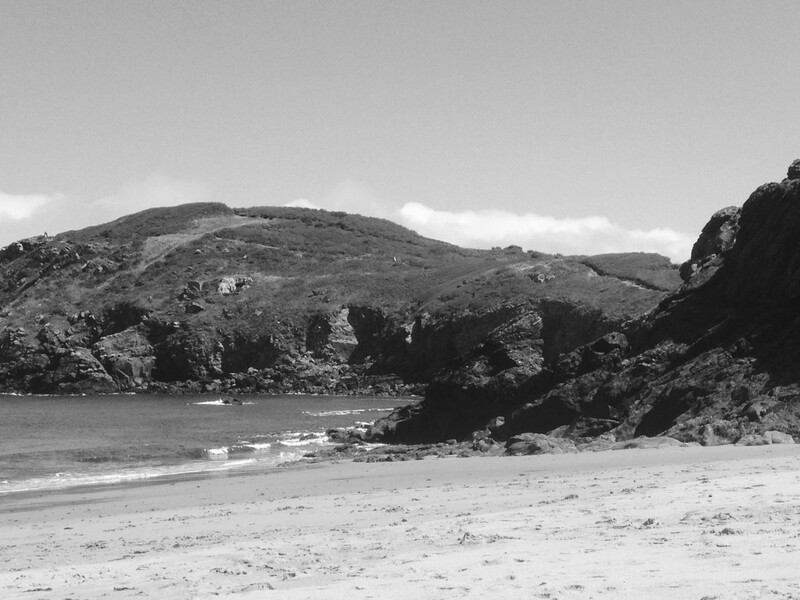 View from the beach at La Garde Guérin, Brittany. 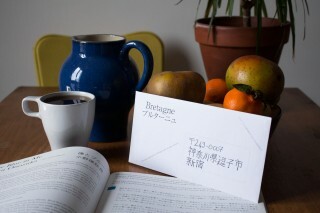 The cover of my internship report from Japan. Notes, taken on a visit to the Sasaki Katsuji foundry. Transition section, with iconographic element. Photo of a school near to Zushi, Japan.